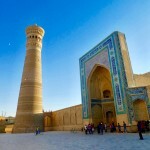 The cities of Samarkand and Bukhara have existed for over 2500 years. I could try to rattle off some of the civilizations and empires that have ruled these areas from the Persians and Greeks (under Alexander the Great) to Turkic tribes, Arabs, the Mongols (under Genghis Khan) and a succession of Islamic empires that were descendants of the above. 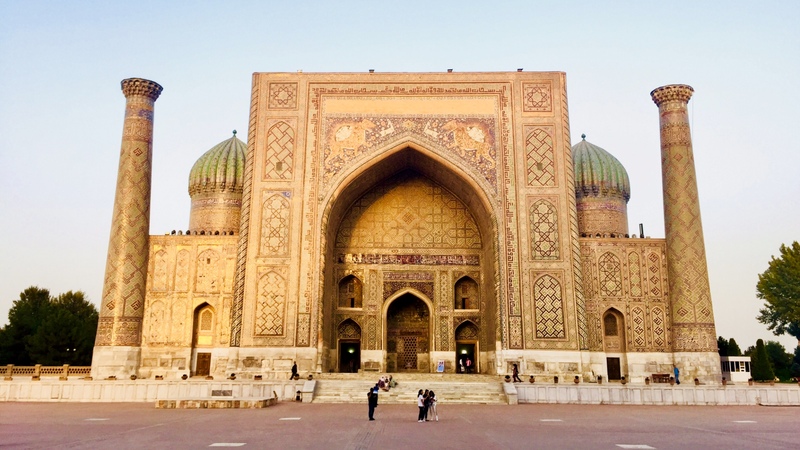 Genghis Khan had a scorched earth policy towards many of his conquests in the 13th century but the occasional mosque and mausoleum dating back to the 9th century has survived his swathe of destruction. 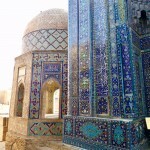 Much of the glory of Samarkand and Bukhara however dates from the 14th century onwards – the end of the Islamic Golden Age. The architecture is rich with symbolism from the domes leading the eyes towards the heavens, columns having magical numbers and of course the mirhabs in mosques pointing towards Mecca. 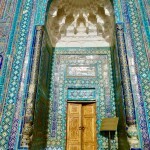 The region gathered craftsman and influences from far and wide across the Silk Road and the Islamic world – from Persian styles of decoration and calligraphy to ‘majolica’ glazed tiles that originated from the moorish Mediterranean region of Majorca. 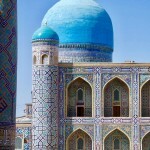 There is a splendour in Samarkand and Burkhara that is truly special and breathtaking. There is a scale, a grandeur and an ornateness which combine harmoniously to create awe. 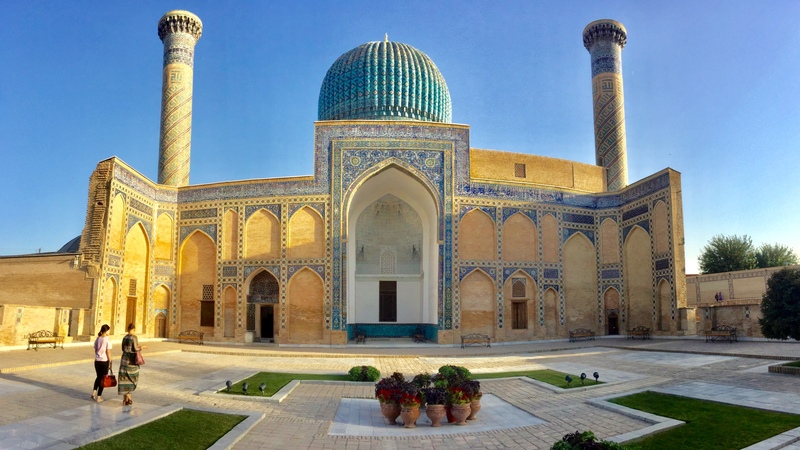 The skylines are filled with towering brick minarets, blue tiled domes and enormous glazed tile rectangular portals called iwan pierced by 3-dimensional arches (pishtaq) which front the great mosques, medressas (schools) and mausoleums. The architecture and spaces rival any baroque cathedral or European castle. 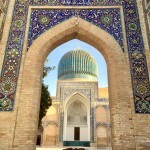 Forever carved in my memory now, in Samarkand and Bukhara I have truly stood in a place of greatness. 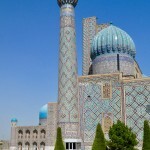 This entry was posted in Uzbekistan and tagged Bukhara, Samarkand, Silk Road, Uzbekistan. Bookmark the permalink. Holy wow. The pictures really convey a sense of majesty. Incredible KP.